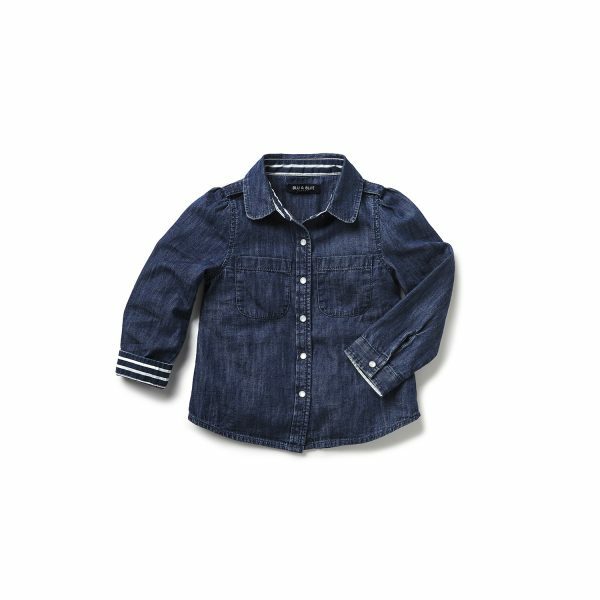 This timeless soft cotton denim shirt is styled with gathers at sleeve and a shoulder tab. 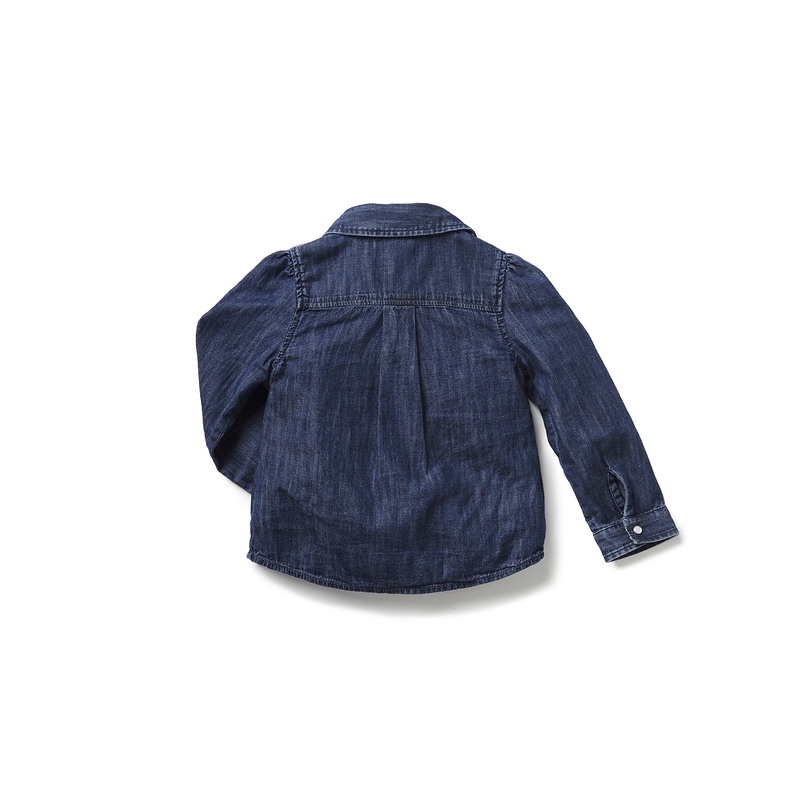 Comes with two front pockets and box pleat at back. 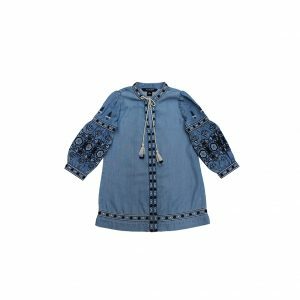 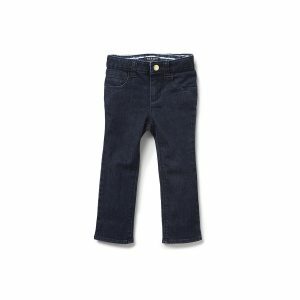 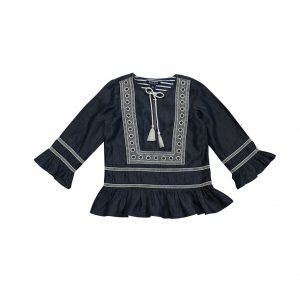 Adorned with mother of pearl snap buttons in front, makes this a must have for your little girl’s wardrobe.